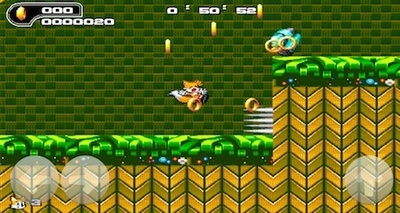 The original Sonic The Hedgehog game for tablets. 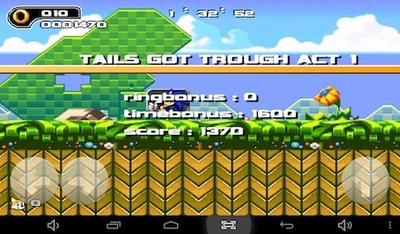 If you loved the original Sonic The Hedgehog Game from 1991, then you'll love this version for Android. It as all the elements of the game, plus additional features. For example, there is now a Time Attack mode, in which you try to get through the level as quickly as possible. You can also play characters other than Sonic, including Tails and Knuckles. 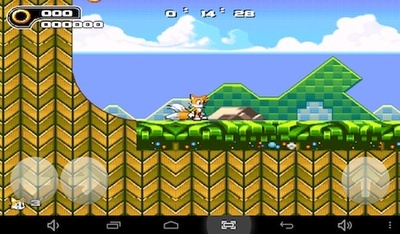 I had my first round as Tails, and his ability to fly came in handy on several occasions. The game is split up into zones, in which you travel through a 2D side-scrolling world jumping through springs, charing rough loop-the-loops, and collecting rings. The rings act as your life line; if you ever hit an enemy, you lose a number of your rings. Once you have no rings left, then you die and have to restart the level. The problem I often find with transferring classic games like this to a tablet is the swipe control that is usually necessary. This can make gameplay difficult. 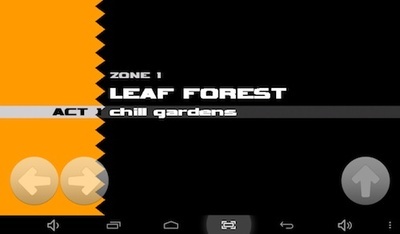 Here, that problem is avoided by using arrows at the bottom of the screen that you press to run and jump. It works very well. 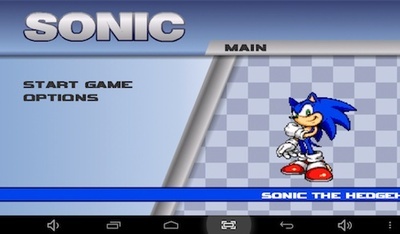 You can buy Sonic from Google Play for £1.99 or download it for free from Android Free Download.